Cryptomundo » Hairy Creature Captured? Baby Bigfoot? Juvenile Almasty? Monkey in a suit? What do you think? This entry was posted on Wednesday, July 26th, 2017 at 8:31 am and is filed under Almas, Bigfoot, Bigfoot Report, Cryptozoologists, Cryptozoology, Evidence, Pop Culture, Sasquatch, Videos, Yeti. You can follow responses via our RSS 2.0 feed. You can skip to the end and leave a response. Pinging is not allowed. It looks like a monkey. Sure looks exactly like a Rehsus monkey wearing a suit. Even sounds just like one. This is animal cruelty. It’s a monkey in a suit, why else wear socks? L O L. Fake news!!! Sweet Jesus… I am going to repost and tag my friend in Khazistan. Also there was a Fortean group forming in Ukraine just after Putin invaded… I will try to dig up their contact info. Whatever this creature, I sure hope it is safe and still alive. It’s not a doll. The eye movements, blinks, shifts and even tearing look real, and it obviously moves on its own. My knee jerk was someone wrapped up a very small toddler in a black wig, but the nostrils and mouth don’t look human, but they do look really, i.e., alive. The hand is suspicious. The tips of the fingers look like make up or prosthetics were stuck on, the rest of the hand looks natural, but the skin of the hand seems too vascular and the fingers are too long for a human toddler. The thing is also TINY. It seems too small to be a human child. It also seems to have that stunned look/demeanor that a wild baby animal, like a rabbit, has when captured. The socks are odd, but it IS the Caucuses, and it gets cold there. 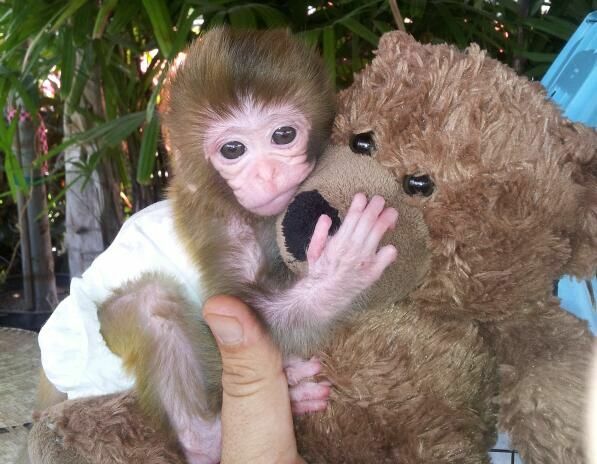 Here are a couple links to baby capuchin monkey pictures. FYI: they don’t look like this. Even if it is a monkey, it’s a very interesting looking monkey. Khat Hansen, looks real, and so cute! It walks upright naturally, and faster than a human walk. Monkey but the poor bloody thing needs proper care. It would be nice if someone who can translate the speech and writing into English, could view the video. Hopefully, some Russian scientists will be able to examine the creature, and get DNA samples, and other samples that would not be too invasive. This could be the proverbial “find of the century”. Clearly a monkey in a suit. im going with fake on this one. I believe its got a wig and rubber prosthetics on it. It also acts like a monkey, not a hominid. Looks like a rhesus monkey in a suit. Just look nat the hands and the eyes. Is Igor claiming this is real or is he just presenting this as a video they received? This is not doing their Almasty organization any justice as it’s so blatantly a fake. What in the everlasting heck is that thing? That’s nightmare fuel! I think this video may include a human baby while laying down and some kind of dressed up monkey walking around. The man talking gibberish starts messing with what is suppose to be the right arm and hand. At the 2:00 minute mark he is filming the face while messing with the arm of the subject. At that point it seems like the arm got caught in the hair and he inadvertently jerked it. In doing so it looks like the mouth, nose and hair move as one like it was a prosthetic device, not part of the living subject. So basically.. a human baby dressed up as this creature but with a fake mouth and nose placed over the baby humans mouth and nose. When the subject runs around on the floor, it runs a little bit then sits down and looks around. I have seen monkeys do this exact same thing. I will look for examples.. This creature should be examined by an experienced wig maker. The hair looks totally fake, and thick enough to hide the anatomical shape of the poor monkey inside. This appears to be a Snub Nosed Monkey. There are several species in Asia, mostly in China, Tibet and a few scattered areas. It does indeed have a very thick coat of fur though. No where in his statement is he making any claims as to the veracity of the video. He was just sharing it as a video that was interesting. You are right. This is not a Snub Nosed Monkey. As to what this is? I agree with you. A small primate perhaps a baby sold as a pet. Wearing a fur piece and blue socks. The animal is on a lead and is being talked to as one would talk to a pet. It chitters like a small monkey. An unusual baby macaque of some kind? I agree cryptokellie : ) It looks like some species of Snub Nosed Monkey, but without its tail. The species living high in the mountains grow thick fur in the winter and this video is possibly from November 2016 when the monkeys would be sporting a thick coat. 2. there is no hair on “it’s arms/hands/feet which for me, I rule out bigfoots or etc. 3. its tied to a rope at the end. 8. but it looks like some type of monkey more than i’d say its a bigfoot or something. Quite Peculiar. But I Don’t Think It Would Be So Perplexing If We Could See The Creatures Feet, Which Have Been Conveniently Concealed By Socks. The face looks primate – not too hominid. Also it’s very small for something that could grow 6-7′ tall. Hair looks too concentrated on the torso and unnatural for the thin limbs. The animal also seems to not move freely but like something with unnatural covering over it. It really looks more like a monkey with costuming than something completely different like a yeti. I don’t know what they are sayin but the writing is in Uzbek, which my wife speaks. They have traditions and beliefs in mystical house trolls. That is what it says that it is. What is more likely to be would be a monkey that has been made to look freakish.